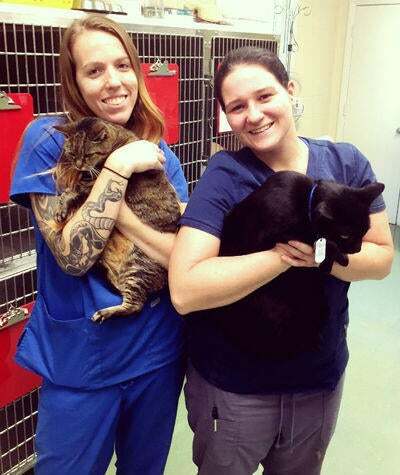 Happy National Veterinary Technician Week to Shannon and Mary (our newest addition to the Hope Crossing family)! Veterinary technicians help make our world go round - from assisting during surgeries or exams, performing dentals and doing labwork or taking x-rays - they do it all! We're so lucky to have two such amazing and talented ladies on our team. All of us here, the clients and the patients, thank you for all that you do...even if these two kitties wanted nothing to do with having their pictures taken.